Wedding Invitation. Our customer wanted something bold, so we framed this colorful. wedding invitation by floating it on a silver mat backing which was in turn floated on a mauve silk backing. The white hand wrapped mat, silver frame and Museum Glass finish this striking celebratory framing project. 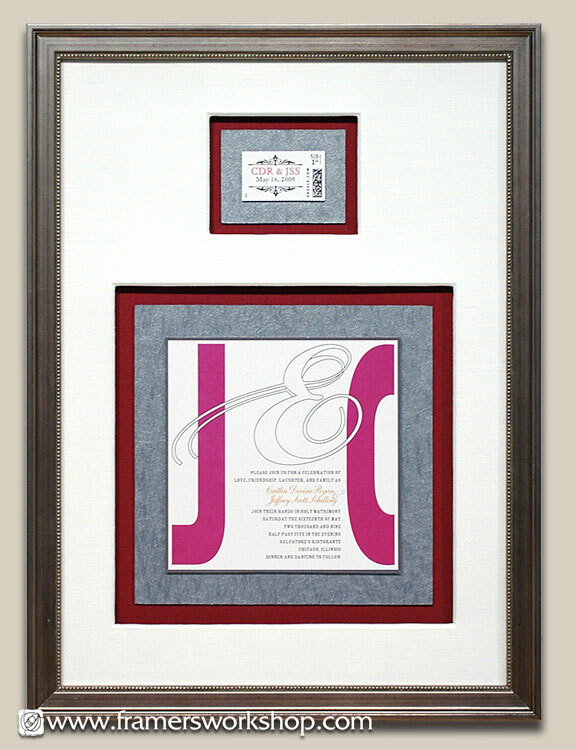 See or Celebrations Page for more wedding invitation framing examples.